Google Maps – Because it helps you show up in Google searches. Facebook – Because most have left a review there. 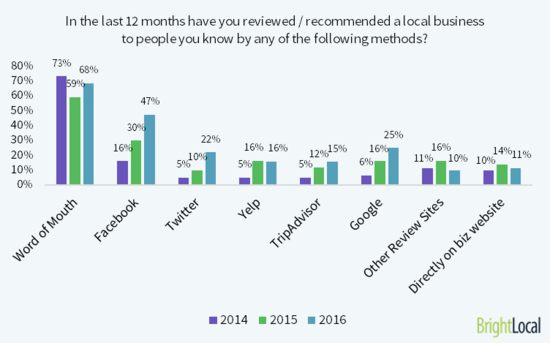 There are some other approaches regarding where to get reviews but Google Maps and Facebook are the most important. 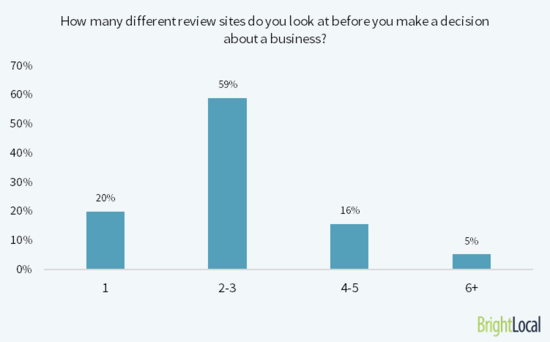 The main thing to remember is this: GET REVIEWS VIA AT LEAST 2 SOURCES, PREFERABLY 4. The feedback funnel is perfect for this. A. Where your competitors have reviews – Just Google your competitors business name or check on their website. B. When you Google generic things about your business what sites come up? These directory sites come up in this order (first few are most important): Yelp, Angie’s List, Home Advisor, SafeWise(Security Specific Directory), and Thumbtack. In most cases there is at least 1 industry-specific website, like TripAdvisor, which shows on several searches. You / your business should be there! 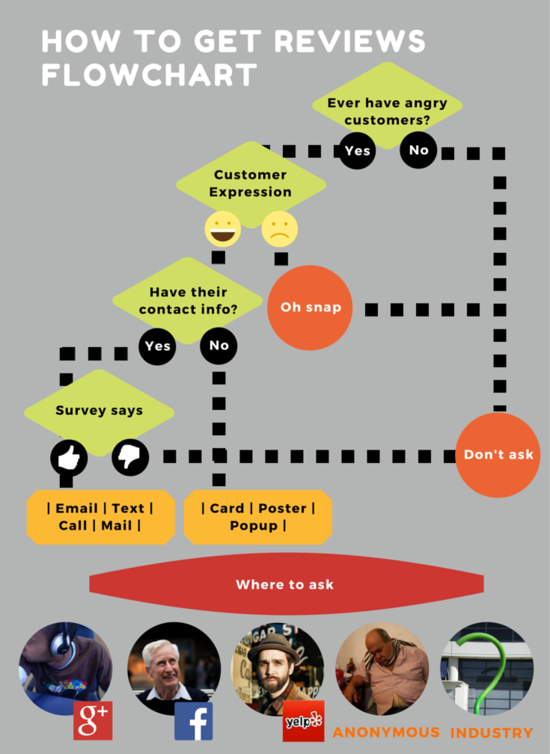 Here is a fun graphic I made a while back if you would rather profile the customer before asking. Bonus Tip: Bing favors and shows reviews from Yelp and Facebook right in their search engine. P.S. Getting reviews on your website is also known as “getting testimonials”. They are not as important as reviews on 3rd party review sites such Google. Be sure to ask me (reply to this email) about review schema if you have a lot of testimonials on your own website. Done right those can also show in Google search results. Next up is getting notified when you get a review, lesson 4. If you missed Lesson 2, here it is!